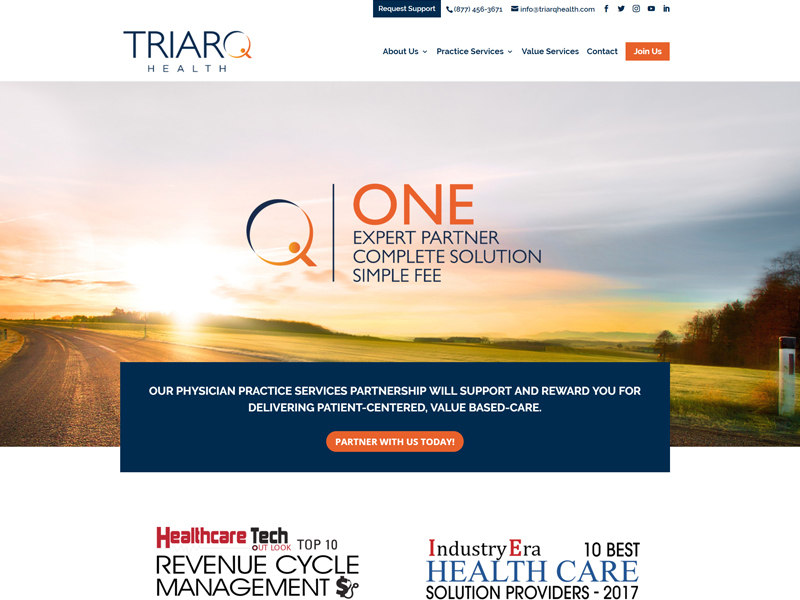 TRIARQ Health is a Physician Practice Services company that partners with doctors to run modern, patient-centered practices so they can be rewarded for delivering high-value care. In mid-2017, they began rolling out their new “ONE” branding initiative to highlight the core of their value proposition: One Expert Partner, One Complete Solution, One Simple Fee. The website had to be the core of that campaign, so our job was to re-imagine their digital presence and relaunch the site built on this foundation. The primary challenge in this project was organizing their products and services. 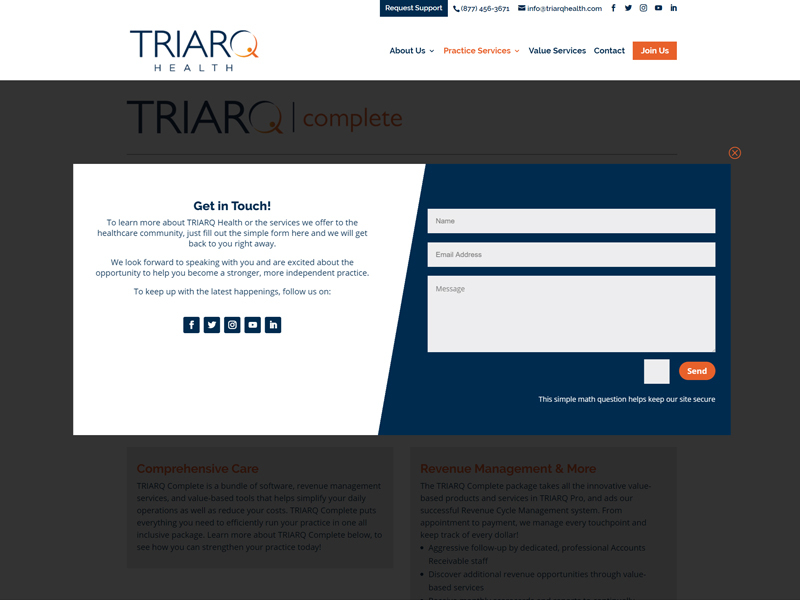 Over the years, TRIARQ evolved from a tech company to a services company and their products have been repackaged and changed names several times. Simplifying the choices for potential clients, while still providing all the detail became the defining organizational principle. It was also critical to make sure the site inspired action, so we designed every page to encourage prospective clients to take the next step. Designed with the mobile user in mind, the home page features a number of scrollable content blocks to with with the browsing behavior that social media feeds have instilled in all of us. Mobile users can quickly move down the page until they see what intests them, and then click to learn more rather than having to use the navigation bar. 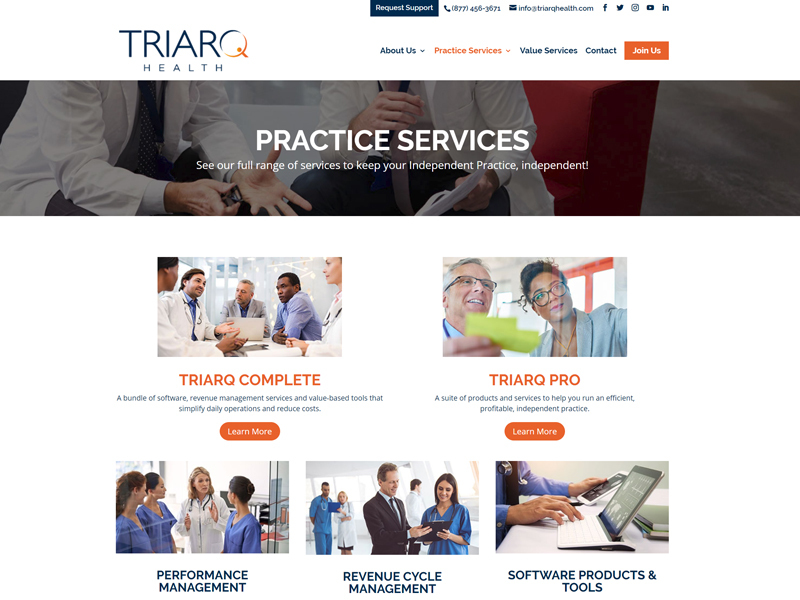 TRIARQ offers a number of different products and services, but they are all bundled together in one of their two signature packages: Pro and Complete. We wanted to make sure users had access to details about specific elements of Pro and Complete, while not making those pages unbearably long, so the Pro and Complete pages each feature a brief summary of what they include, with links to click through and read all the details on separate detail pages for each element. Every page features a promominant Call to Action, but we took it a step further. Rather than send people to the Contact page and then fill out the contact form, users can click to open an overlay contact form on the same page, eliminating a step and reducing the chance to lose that lead.